الخيار الأفضل للحصول على المتعة والاسترخاء، فندق نوفوتل سيدني أوليمبيك بارك يقع في منطقة رائجة من أفضل مناطق المدينة. يمكن من هنا للضيوف الاستمتاع بسهولة الوصول إلى كل ما تقدمه هذه المدينة النابضة بالحياة. يشكل هذا الفندق ملاذاَ مريحاً للاسترخاء ويمنح زواره فرصة للاستجمام والتجدد، وهو يقع على بعد خطوات من المعالم السياحية الكثيرة للمدينة. إن الخدمات التي يقدمها فندق نوفوتل سيدني أوليمبيك بارك تضمن للنزلاء إقامة مريحة. يقدم هذا الفندق العديد من الخدمات الكفيلة بإرضاء أكثر الضيوف تطلباً. تنعكس أجواء فندق نوفوتل سيدني أوليمبيك بارك في غرف الضيوف.تلفزيون بشاشة مسطحة, اتصال لاسلكي بالإنترنت, غرف لغير المدخنين, مكيف هواء, تدفئة هي بعض الميزات الموجود في العديد من الغرف. إن مركز للياقة البدنية, حمام سباحة داخلي, ملعب تنس هو المكان الأمثل في الفندق للاسترخاء وتفريغ طاقتك بعد نهار طويل. استمتع بخدمات لا يعلى عليها وعنوان ذو اعتبار في فندق نوفوتل سيدني أوليمبيك بارك . The location,the rooms and the breakfast. 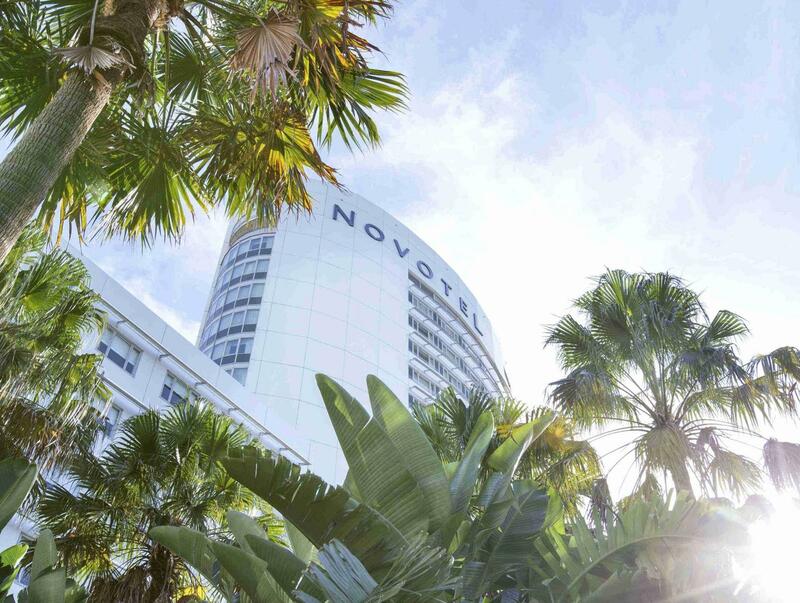 My stay was very pleasant at my son was swimming in the state carnival and the access to the pool is fantastic.I was also upgraded to a suite which was a lovely surprise.Ive stayed at the Novotel 3 times in the past 12 months and every time it's been a lovely stay. 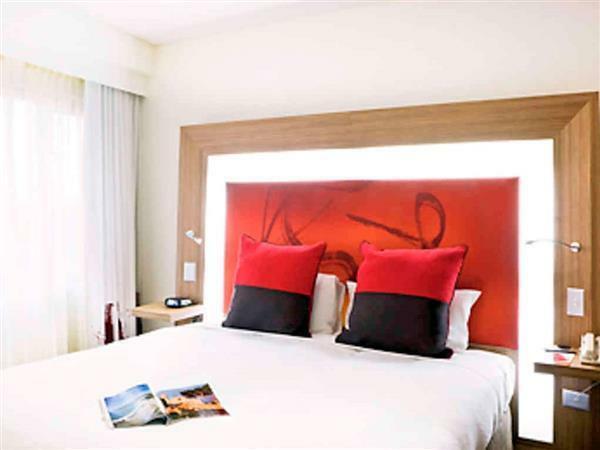 Perfect hotel if you have meetings or an event out at the Homebush stadium. Hotel staff are friendly and rooms clean. Lift access a bit confusing at first as a second hotel has lifts in the same reception area. The hotel had very comfy beds,staff was helpful . the hotel was in a great spot.we stayed there for 2 nights as my daughter was there to compete in the state titles swimming carnival and it was a short 3 minute walk to the aquatic centre.as a bonus our room was upgraded to a room with a spa and balcony.our overall stay was very good and would definetly stay there again. Definitely staying here again. It is the perfect location if staying within Olympic Park. Great facilities, room to move, comfy bed. The only annoying thing was not being able to access the lower ground doors after certain hours. I get it is for security but if I'm staying on my own, I feel safer with closer and quicker access inside. The beds were very comfortable and the breakfast was a great variety. It’s such a Great spot to stay for concerts I would definitely stay here again . 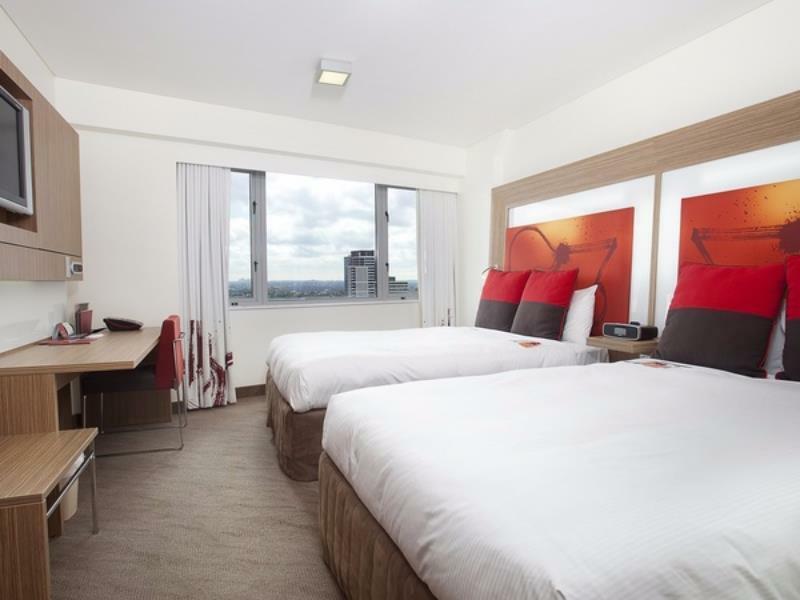 We stayed at Novotel as we were watching a concert at Qudos bank arena. Location is perfect, walking distance. The rooms are spacious, clean, comfy bed and pillows. Very satisfied. Except the provision of breakfast is not very satisfactory, not a lot of choices of food offered. quite good and very tranquil, it is an ideal place for CFA examination, the breakfast offered in the morning is great as well. the staffs are kindly and gentle all of which left me an unforgettable impression!! Nothing much around, i stay here as it is nearer to my business events. Surprise that they indicate gym but really u have to walk across the road to pullman hotel's. Room is spacious and clean though and staffs are okay. Highly recommended!! Rooms, bathrooms, lounge, kitchenette were all spotless. The views were breath taking. Great hotel experience. Great location, Great food. Thank you team Novetel, I am definitely coming back. Good stay for business at Rhodes which was very close by. Excellent room service which arrived very quickly at 9pm (much appreciated) as well as good breakfast the next morning in the restaurant downstairs. The bed wasn't in great condition having collapsed on one side a bit from use, but room was clean and comfortable. Novatel should consider providing separate shampoo and conditioner (rather than the combined version) and also body lotion would be appreciated! The hotel was in a great location, We had a fantastic meal at the local thai restaurant (so i can't comment on the food) but the minibar seemed adequately stocked (predictably over-priced as they always are). The room was clean and very comfortable. Great view. If i had another event at olympic park to attend id stay again. We stayed here over the New Year period (given prices in town!). The hotel is clean, modern and all staff went the extra mile. Bit disappointed the room rate didn't include wifi or breakfast for $300! Great location if you had events at Olympic Park, easy to catch train etc. Each time you drink or eat, you must pay first. They don't accumulate on your bill tap. Bad for business. They don't arrange your table. When you reorder or add new drinks or food for your business meeting, you must pay again each time. No body service you at restaurant, you must go to bartender to get brinks. Self Service. It is not client or business friendly restaurant service. Also I felt client did not get good room, just in front of noisy elevator. Will I stay again? I don't think so. The luxury rooms. The close proximity to olympic park. The very attentive staff. Fantastic food! Our stay was brilliant. Will definitely be staying there next year. Superb luxury rooms. Fantastic buffet breakfast ( the best I have ever tasted) , and such a great variety. The staff were very informative and very friendly and professional. We thoroughly enjoyed our stay. Chose this location as we attended Soundwave. The overnight room cost us over $300 but it was well worth the money as we did not have to travel back into the city after a long day. The buffet breakfast was excellent - catered for all types. The staff were very helpful and friendly. We were able to check into our room early and the 11am checkout allows that extra bit of time in the morning. Cleanliness, comfort and helpful staff. 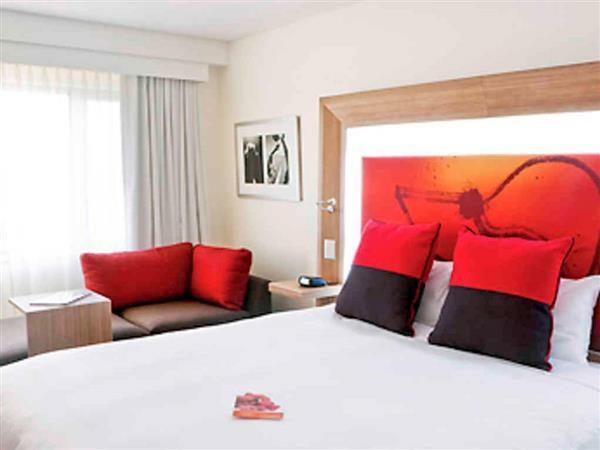 We enjoyed a very comfortable and pleasant stay at the Novotel Sydney Olympic Park. The staff were happy and very polite. They also went the extra mile to help us with enquiries and concerns. Nothing was too much trouble. Our room was very clean with a good sized bathroom and the beds and pillows were super comfortable. We particularly liked the fact that we could open the window to get some fresh air rather than using the airconditioner all the time. 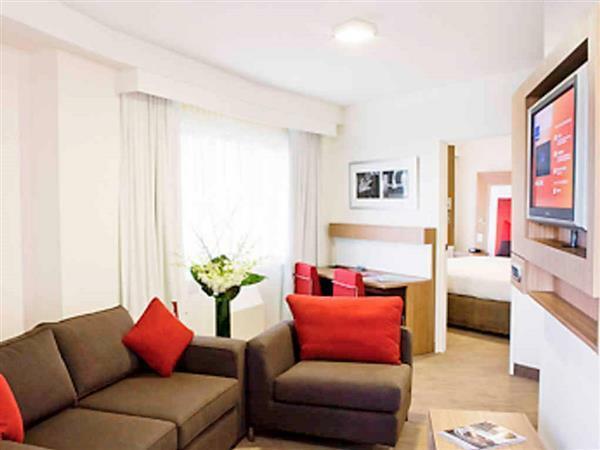 The hotel is situated close to the train station making travel around Sydney easy. There are many good restaurants and fast food outlets very close by as well as the hotel restaurant. Came on a day there were two concerts on check in got upgraded. Staff printed out boarding passes on departure. The bar area is great for watching the big screen tv or sitting and having a conversation with friends. We found everyone happy and always willing to help.